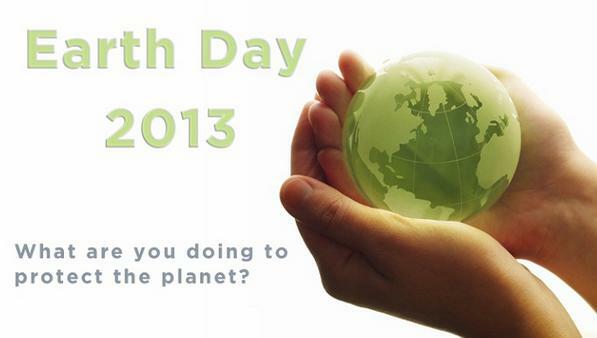 Earth Day at Regional DEP Offices to call on DEP to fulfill its mission and protect the environment. A coalition of more than 40 environmental organizations and individuals are rallying for protection of communities and the environment with a statewide Earth Day Protest on Monday, April 22. These rallies will call on our public officials to act with integrity and protect the people of Pennsylvania, who are being victimized every day by fracking and the cradle-to-grave dangers of shale gas extraction. Rallies will take place at each of the Department of Environmental Protection’s (DEP) regional offices in Harrisburg, Meadville, Norristown, Pittsburgh, Wilkes-Barre and Williamsport on Earth Day. The coalition is calling for support from people who want to stand together to preserve and protect our communities from the assault and abuse of environmental devastation. The rallies will demand that DEP fulfill its mission to “protect Pennsylvania’s air, land and water from pollution and to provide for the health and safety of its citizens through a cleaner environment.” In order to do so, DEP must put the ‘public’ back in public policy. • Reopen the DEP Office of Energy and Technology Deployment to develop solar, wind and other renewable energy technologies. Tags: Action United Shadbush Environmental Justice Collective, Allegheny College Students for Environmental Actionhttp://webpub.allegheny.edu/group/sea/Home.html Michael Bagdes-Canning, Beaver County Volunteer Water Quality Monitor Joshua Pribanic and Melissa Troutman, Butler County Beaver County Marcellus Awareness Committee Benedictine Sisters Erie PA, Butler County Timothy Bagdes-Canning, Candidate for Derry Township Supervisor -http://steventodd.wordpress.com/derry-township-supervisor-2013/ Tour de Frack http://www.tourdefrack.com Upper Burrell Citizens Against Marcellus Pollution Dr., Cherry Valley Borough Council, Chief Shelley DePaul, Councilmember, DamascusCitizens.org Delaware Riverkeeper Network, DEP, earth day, facebook.com/growingcommunityprojectPA Celia Janosik, fracking, http://frackingtruth.webs.com/ Frack Mountain, http://groups.yahoo.com/group/nwgreens/ Peach Bottom Concerned Citizens Group, http://marcellus-cure.blogspot.com/ Cross County Citizens Clean Air Coalition Damascus Citizens for Sustainability, http://thomasmertoncenter.org/projects/environmental-justice/ Food & Water Watch, http://www.gastruth.org/ Brandywine Peace Community, Phila. Commissioner of Health 2000-2002 Westmoreland Marcellus Citizens’ Group, Philadelphia/ Delco Branch, Sam Bernhardt, Shale Justice, Vice President, Women’s International League for Peace and Freedom, www. delawareriverkeeper.org Energy Justice Network, www.brandywinepeace.com Bucks County Green Party, www.energyjustice.net/ Environmental Justice Committee – Thomas Merton Center, www.eriebenedictines.org/ Berks Gas Truth, www.foodandwaterwatch.org Fracking Truth Alliance, www.frackmountain.com Gas Drilling Awareness Coalition, www.gastruth.org/ Lehigh Valley Greens Lenape Nation, www.gdacoalition.org/ Granny Peace Brigade Philadelphia Green Party of Delaware County http://www.delcogreens.org/ Green Party of Pennsylvania (GPPA), www.gpofpa.org Green Party of Philadelphia (GPOP), www.gpop.org Growing Community Project, www.greens.org/pa/montgomery/ Mountain Watershed Association, www.killmammon.wordpress.com/about/ Lehigh Valley Gas Truth, www.lenapenation.org/main.html Luzerne County Green Party Marcellus Outreach Butler, www.marcellusoutreachbutler.org/ Marcellus Protest, www.marcellusprotest.org/ Mark Schmerling Photography, www.mtwatershed.com Northeastern Group of the Pa Sierra Club Northwest Greens, www.pa.greens.org/bucks/ Citizens for Clean Water Citizens Against Marcellus Pollution (CAMP) Clean Water Action http://www.cleanwateraction.org/pa Communities United for Rights & Environment, www.pacwa.org/ Physicians for Social Responsibility Philadelphia, www.pbccg.com/ PennEnvironment, www.PennEnvironment.org PA Alliance for Clean Water and Air, www.protectingourwaters.com Jasmine Rivera, www.psrphila.org Protecting Our Waters, www.schmerlingdocumentary.com Montgomery County Green Party, www.shaadd.org 350 Berks & Lehigh Valley Climate Action Steve Todd, www.shadbushcollective.org/289/ Shale Justice Coalition South Hills Area Against Dangerous Drilling (SHAADD), www.tripledividefilm.org Kill Mammon, www.westmorelandmarcellus.blogspot.com/, www.yorkgreenparty.org/, York County Green Party | Permalink.